← What makes us lovely to God, and why do we love him? How will God finally punish unrepentant sinners? Part 1: My journey in quest of an answer. I set out to write a blog post that grew rather large. So I have decided to split it into two posts, of which this is the first. Here I will relate the story of my long journey in quest of a biblical answer to that big question. In Part 2, I will recommend a book which I believe contributes very helpfully to the conversation about this issue which I believe needs to happen among evangelicals. It ought to be a conversation in which all of the participants are reasonable, charitable, and thoroughly committed to letting God speak to us as we discuss issues of great import. As I review the process of my understanding of the Bible’s teaching regarding hell, I find that I have now gone through 5 stages of a theological journey. Stage 1: Convinced that the traditional view of hell as eternal conscious torment is the orthodox view and is clearly taught in Scripture. I grew up in the home of missionaries and spent most of my childhood years at the British boarding school which was the most common choice for families from Commonwealth nations. In all of my years through high school, I recall being taught consistently that God would punish unrepentant sinners with a conscious and endless suffering so severe that it was analogous to the pain of being burned, but worse because it never stopped. Stage 2: Aware that some thoroughly orthodox evangelicals were annihilationists, and convinced that this is a viable alternative within evangelicalism, while remaining a traditionalist myself. I have been a member of the Evangelical Theological Society since 1967, and I’ve read its Journal with significant benefit. I consider it a fair representation of what is going on within evangelicalism, particularly what might now be deemed “conservative evangelicalism” as distinct from fundamentalism on one side and “post-conservative evangelicalism” on the other. In recent years, I discern a more fundamentalistic spirit with the Society, and I observe that this has alienated many who might be dubbed “post-conservative.” But back in the pleasant days of 1985, no one talked about “post-conservative evangelicalism,” and JETS looked to me like a good mirror of evangelicalism in general, along with Christianity Today at the magazine level, though the latter became rather more popular in style than when I first subscribed, when Carl Henry was the editor. So, when I read Edward Fudge’s article in the September 1984 issue of JETS (“The Final End of the Wicked”), the thought that an evangelical might be an annihilationist was rather new to me. I remember reading that article with keen interest and, not long afterwards, I read the first edition of Fudge’s 1982 book, The Fire that Consumes, now in its third edition. 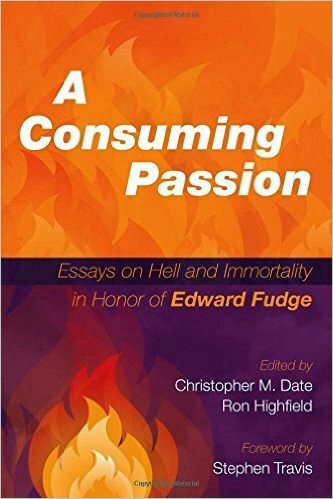 I found Fudge’s book to be a very thorough examination of everything the Bible has to say about the nature of God’s final punishment of sinners, and I was happy to meet him at an ETS meeting a few years later. By then, it was clear to me that a strong biblical case could be made for annihilation and that the traditional view of eternal conscious torment, though very widespread since Augustine, was not the only option within the evangelical tent. Stage 3: Aware of the strong antipathy of many evangelical theologians to evangelical annihilationists, and of passionate commitment to the traditional view within significant sectors of evangelicalism. I realized that the stakes could be high for dissenters. 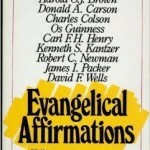 In 1989, the National Association of Evangelicals and Trinity Evangelical Divinity School convened a consultation on Evangelical Essentials, with 650 registered participants, “to unite evangelicals in their commitment to the great biblical truths of our faith” (Evangelical Affirmations, 13). The organizers did not intend to produce a short evangelical creed, nor did they assume that all agree together if that were attempted. 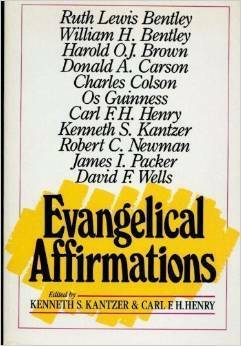 But, in the “Preface” to the book they later edited, Kenneth Kantzer and Carl Henry said that they sought to formulate a “confession of what it means to be an evangelical. In a day when this term is used loosely to cover a broad variety of belief and unbelief we trust that a clear statement of those common convictions that constitute our evangelical heritage will prove useful to the church” (pp. 14-15, emphasis supplied). Now we turn to the second proposed revision of historic evangelical soteriology, the view that the question of salvation is less agonizing than we thought because after judgment day the unsaved will not exist. This is universalism in reverse: like universalism, it envisages a final state in which all are saved; unlike universalism, it anticipates, not post-mortem conversion, but annihilation and non-being for those who leave this world in unbelief. The exponents of this view, which for our purposes may be called either annihilationism or conditionalism, are all Protestants or cultists. Having been condemned at the fifth lateran Council in 1513, it is not an option for Roman Catholics. Among the Protestants are some distinguished evangelicals, including recently my fellow Anglicans John Stott and Philip Edgcumbe Hughes, and I think it is currently gaining more evangelical adherents. But the question, whether an opinion is true, is not resolved by asking who holds it. The doctrine of eternal punishment is interrelated with many other doctrines. It conditions our thinking in many areas of preaching and teaching. When friends, such as John Stott, Philip Edgcombe Hughes, Clark Pinnock, John Wenham, Basil Atkinson and other well-known and reputedly evangelical leaders, reject the traditional view of eternal punishment, the Church suffers serious or even fatal erosion in its doctrinal foundation (pp. 140-41, emphasis supplied). Remarks like this from evangelical leaders should not be taken lightly. Any evangelicals who might be otherwise impressed with the strength of the biblical case for annihilationism, as I was, obviously needed to be very cautious about joining the little company who had stuck their heads out. John Stott was clearly aware of this himself, and it was for this reason that he had not revealed for many years that he did not believe the traditional view of eternal conscious torment. But when David L. Edwards put him on the spot, during their Liberal/Evangelical dialogue, Stott felt compelled to explain that he did not personally affirm that traditional view. As I heard the story from one of the participants in the 1989 conference, the original draft of “evangelical affirmations” had included a statement regarding hell which was phrased in terms of eternal conscious torment. The book in which John Stott went public about his eschatology had only recently been published and so Packer’s mention of Stott as an annihilationist was news to many of the participants. But, given the very high regard which evangelicals had globally for John Stott, the wisdom of publishing a statement of essential evangelical beliefs which would exclude someone like Stott was called in question. Eventually, “affirmation 9,” treating the “second coming and judgment,” simply said: “Unbelievers will be separated eternally from God. Concern for evangelism should not be compromised by any illusion that all will be finally saved (universalism).” That was a statement that any evangelical annihilationist could affirm. I know that many people left the conference deeply disturbed by the new respectability given to annihilationism by its acceptance by so highly regard an evangelical leader as John Stott. I even heard of teachers who stopped recommending any of Stott’s books, on account of what they judged to be his grave error on this important theological matter, and of a Christian bookstore that refused to sell any more of John Stott’s books. Once again, the remarkable strength of feeling among evangelical traditionalists against any diversion from that view left a cautionary impression upon me. Stage 4: Increasingly impressed by the exegetical merit of the annihilationist proposal. In my case, as in that of other evangelicals I know, Stott’s “coming out” in this regard added some plausibility to annihilationism. It certainly strengthened in me the conviction that no evangelical church or institution should make “eternal conscious torment” a part of their “statement of faith.” In one organization with which I was involved, what had come to light in the “evangelical affirmations” conference led to a proposal that the organization’s statement should actually be tightened up, since the one already in place would not exclude an annihilationist. I was not alone in opposing that new restriction, and the effort did not succeed. In 1989, Eerdmans published Philip Edgcumbe Hughes’s book, True Image: Christ as the Origin and Destiny of Man. Hughes had been on the faculty at Westminster Theological Seminary when I studied there but, because his specialty was New Testament and my degree was in Systematic Theology, I did not study under him. But he was appointed to give me an exam in French, which I chose to fulfil the Th.M. requirement for a modern language. (A year prior to that, Reader’s Digest had kindly given me a year’s subscription to the French edition of their magazine, when I explained to them my reason for wanting it. So I read the magazine in French for that year, to hone my French skills. It didn’t do much for my theological French, but it helped get me to where I needed to be.) I had high regard for Hughes’s scholarship and, since he was on the faculty at Westminster, I knew him to be thoroughly orthodox. So I assigned his book as a text in a seminar on biblical anthropology and was not disappointed regarding its benefit to our biblical understanding of human being when viewed in light of Christ’s having been the paradigmatic human. As was my usual practice in seminars, I was reading the book for the first time along with the class. So I was as surprised as they were when we got close to the end and met Hughes’s biblical argument against inherent immortality of the soul. That was no problem for me, since I had already concluded as he did that human souls, like human bodies, exist only by God’s willing sustaining, and either or both could pass out of existence if God chose to withdraw his support. What surprised me was when Hughes went on to unpack the conditional immortality of the soul in a concise but fervent case for annihilation as God’s final act of judgment of the wicked. By then, few evangelical theologians defended metaphysical indestructibility of the soul, but I had met very few of them who had gone on to reject the traditional view of hell. Conditionalism (in the narrow sense) was common, and I shared it, but annihilationism was still rather unusual in the evangelical world. In 1990, Clark Pinnock expressed his outrage regarding the traditional view of hell and made his own case for annihilationism, in an article in the Criswell Theological Review (4.2 : 243-59). The tide was picking up speed. The Christian doctrine of hell is a very important matter for Christians, particularly because it arises so frequently in discussions of God’s goodness. Among the four main answers to the question of how long hell persists (universalism, immediate annihilationism, ultimate annihilationism or conditionalism, and eternal conscious punishment), I believe that the last two are supported by the strongest biblical evidence. Although I remain a believer in the fourth and most traditional of the key options, I think that ongoing study of Scripture on this important topic is very healthy for the church, so I am happy to see it encouraged by Rethinking Hell. Having become aware of the existence of that site, I joined its Facebook group and frequently listened to its podcasts. In the providence of God, this kept the biblical teaching regarding hell on my mind in a way which would not otherwise have happened. By that time, I had been telling my eschatology students for some time that I believed in the traditional view of hell but that I was hanging on by my fingernails. I knew by then that if one takes the language of Scripture in its natural sense, the message one hears overwhelmingly is that God’s warning to the wicked is that they will die, perish, be consumed, or destroyed. As I have read and listened to the material generated by Rethinking Hell, I have come to realize how slender the textual support is for traditionalism. Nonetheless, in doing theology texts have to be weighed, not just counted, so the texts which do give readers the impression of a punishing process that goes on endlessly in hell must be treated very seriously. It was those texts that had kept me in the traditionalist camp, even though I had felt for quite a long time the weight of the exegetical case for final destruction of body and soul. The very strong emotional response to annihilationism that one encounters from many traditionalist theologians was also intimidating. I find it puzzling, given the high respect evangelicals confess for the authority of Scripture over all traditions, and I have seen no evidence that it has dangerous effects in other areas of theology or Christian practice. But this strong antipathy is a reality that can not be ignored with impunity. I have an indemonstrable hunch that fear is one of the factors accounting for the staying power of traditionalism within evangelical eschatology these days. Unless a longtime traditionalist becomes convinced that the biblical case for final destruction is overwhelmingly clear, agnosticism on this point may seem to be the course of wisdom, or silence may look wise. John Stott’s reasons for not revealing his long held belief in annihilationism illustrate this perspective. He seemed to have little to gain and considerable to lose. Stage 5: Believing that annihilationism is what the Bible teaches, but formally agnostic about the nature of hell. I am not agnostic because I fear the wrath of the evangelical majority, but because I am still quite new in my belief that annihilationism is true. Furthermore, I may remain agnostic indefinitely, because I consider this issue relatively unimportant within the hierarchy of doctrines, and because I am convinced that one’s stance in regard to this issue affects no other doctrines and no important matters of Christian life and ministry. Annihilationism is not a step down a slippery slope. I see no other dominoes that might fall as a result of one’s affirmation of either traditionalism or annihilationism. Of the two alternatives, annihilationism now looks most biblical and least likely to present a stumbling block in evangelism and apologetics than traditionalism. That John Stott felt this to be true is evident in that he revealed his own annihilationist convictions only when he felt the need to present to David Edwards an evangelicalism that was not subject to Edwards’ Liberal critique in regard to hell. I realize, however, that my judgment concerning the relative unimportance of this item of one’s eschatology is not shared by some members of the evangelical community for whom I have very high regard, but here I think they are misguided. Something may happen to change my perspective on the importance I should attribute to this question, but until then I do not plan to put a great deal of time and energy into the pursuit of a clear and certain answer to this question. Although I now believe that the case for annihilationism is the best biblically supported, I do not plan to make defense of that conclusion a high priority in my theological work. I am happy to explain to interested people why I have reached this position, but I will not debate it with those whose minds are made up. I am prepared to grant that I may be wrong in my current understanding of the few texts which form the foundation of the doctrine of eternal conscious torment, and which kept me hanging on to traditionalism for as long as I did. But, in reaching this somewhat agnostic and “pacifist” leaning toward annihilationism, I do not criticize those who feel called to devote their time and energy to this issue. This is a matter very much worth studying and discussing, it is just not my mission. I will continue to read the work of proponents of both these evangelical alternatives and to ask the Holy Spirit to guide me into the truth. In the meantime, I am obviously unable to be a member of any Christian organization that requires that one confidently affirm one or other of these positions, but I am grateful that many evangelical bodies (including the World Evangelical Alliance), have chosen not to make it an issue in their statements of faith. This is as it should be, I believe. Despite the long dominance of one traditional view within the church, since Augustine’s time, none of the early creeds defined an orthodox position on this issue. Prior Augustine, there was diversity among the church’s theologians, and there have been annihilationist voices within the walls of orthodox Christianity throughout its history. Some time after this post was published, I was asked to contribute my story for a chapter in A Consuming Passion. I was very happy for that opportunity because, by then, I had moved on from the “agnosticism” concerning the nature of hell, of which I wrote in this blog post, in my account of “Stage 5.” By the time I worked on the article for that book, I had become thoroughly convinced of the truth of annihilationism. I was also happy for the opportunity to outline the biblical data which led me to my conviction. I have therefore posted an excerpt of the article, containing a more extended account of “Stage 5 of my journey.” You can read that to if you want get up to date with a slightly later part of my journey. This entry was posted in Eschatology and tagged annihilationism, hell, traditionalism. Bookmark the permalink. 18 Responses to How will God finally punish unrepentant sinners? Part 1: My journey in quest of an answer. We are so honored, blessed, and thankful that Rethinking Hell has been a valuable resource to you, Dr. Tiessen. Wherever your studies take you when it comes to this topic, we are deeply grateful for your spirit, which Christians on all sides of this debate should seek to imitate–myself most of all. Thanks for this characteristically gracious, humble, and lucid story, Terry. 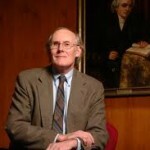 I’ve been persuaded of “terminal punishment,” as some call it, since reading John Wenham’s fine book, “The Goodness of God,” in the late ’70s–only to have Edward Fudge’s massive work massively confirm that view, with Stott’s advocacy (alongside the likes of Richard Bauckham, Richard Swinburne, Michael Green, and I. Howard Marshall for good measure) playing an encouraging role as well. Apologetics is a crucial discourse in which this doctrine matters: We get to offer to our friends a God of justice who punishes people in exact proportion to their sins, rather than a God who for no good reason keeps people alive to torment them forever (which sounds, to most ears, more like the Devil). But theology proper is also at stake here, isn’t it? For, again, how does one square the kind of God who would perpetuate an eternal hell with the God of Abraham, Isaac, and Jacob, the God of the Exodus, and the God and Father of our Lord Jesus Christ? Taking refuge in the mysteries of the impenetrable decrees of God is sometimes an allowable theological move, but only ever when (a) there is strong Scriptural evidence for the idea in question and (b) one has no other choice. Neither of those elements are true in this case, and I think it therefore is bad theological method (Ah! There is a third discourse in which this matters!) as well as bad theology. Thanks, John. You state the situation very well. I have wanted to be very careful not to let a measure of repugnance at the concept of God endlessly tormenting his enemies determine my beliefs about hell, but to let Scripture speak, and let God be God. I had reached a point where I had a concept of final punishment which put it in the best light I could find. (Something Tom Wright has done too, I think.) I felt keenly the weight of centuries of tradition, and I don’t naturally tend to being a maverick, so I moved slowly. But now that I have finally gotten exegetical satisfaction in regard to the few texts which kept me on the traditionalist ledge, I do feel an immense sense of relief. Annihilationism feels so much more right, with respect to the nature of the God who revealed himself supremely in Jesus. It is easy to underestimate the power of peer pressure. I stuck my neck out in arguing for accessibilism/inclusivism, and I didn’t particular enjoy the way that it affected the attitude of some of the Reformed evangelicals whose friendship I had enjoyed. So I have not been anxious to stick my neck out again, on an issue equally inflammatory. But truth matters, and serious conversation about this particular area of truth needs to happen within evangelicalism, and I’m leaving the outcome with the Lord. I trust him to protect others where I am wrong, and to further his purposes through my little efforts where I’m on the right track. Thanks for the thoughtful article. Quickly, when you say you “have finally gotten exegetical satisfaction in regard to the few texts which kept me on the traditionalist ledge,” which ones do you mean? Tim, Mt 18:34, 35; Mk 9:43-48; Rev 14:10-11 and 20:10, particularly the ones in Rev. As you know, Terry, I identify with much of your journey, even though I am still at Stage 4 and apparently a “dehumanizationist” according to the helpful chart. That is an accurate term, although I am unlikely to publicize it widely. Perhaps your candid, lucid, and gracious description of your journey will stimulate discussion that is not rooted in fear. I certainly hope so. Incidentally, Stan, after I had written the post, I got to wondering how this would have affected my “employment” had the change occurred earlier. I was happy to discover that none of the schools at which I taught, nor the mission with which I served, has a statement with which annihilationism would conflict. Churches which supported us as missionaries would have been a different matter, but only one of them ever raised the matter of agreement with the church’s statement of faith, so it might never have come up. The one situation in which a problem arose was a rather sad occasion. A church which had a major portion of my parents’ support in India, was a member of the Independent Fundamental Churches of America. It was a lovely congregation, and they were delighted to pick up our support when we too became missionaries. We were living in their missionary furlough housing when I studied at Westminster. (I had lived in that same house when I was 7 years old!) One day, I read their statement of faith and noticed that the church had a pretribulationist statement. Being someone who likes to have all my cards on the table , I asked the pastor whether their missionaries had to affirm this. 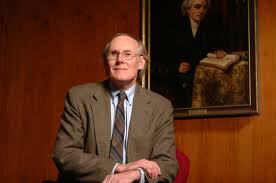 He told me that this had never been required, and he and I had some good conversations about eschatology. After we had been back on the field for a while, I received a letter from him – one which he had been reluctant to send. He had been asked to do a presentation at an IFMA conference, regarding the support of missionaries, and he had suggested along the way that a church’s missionaries should affirm the congregation’s statement of faith. He had shared copies of his presentation with his church board, and one of the members asked: “Do we do that?” As the pastor said “no,” he remembered our conversations almost immediately and had an ominous feeling. The upshot was that he was asked to contact all the church’s missionaries and request them to affirm the church’s statement of faith. In his letter to me, he expressed hope that I might have had a little conversion since we had spoken about that item. Alas, I had not, and that was the end of our connection with that congregation, to our mutual regret. I know of at least one other missionary who concluded that a little personal doctrinal revision was in order, so their relationship continued. I have never faulted him for that judgment call. Some convictions aren’t worth (or necessary?) sacrificing for. This is a really wonderful blog post. I love that you “stuck your neck out” in the inclusivism debate (although I haven’t read the book—when’s the Kindle version coming?). And I love that you are taking a less popular stance on hell, out of conviction and biblical study, now. I think you’re basically right when you say that “one’s stance in regard to this issue [annihilationism] affects no other doctrines and no important matters of Christian life and ministry.” However, I would say that it doesn’t really HAVE to affect them but it does often seem to. An evangelical pastor that I admire and think highly of in many ways, once said something that disturbed me. He talked about how if he had an encounter with Hitler he would take a nail clipper and start at Hitler’s toe and keep clipping until he reached the heart. He said it with a seeming joy and pleasure. This statement disturbed me because I couldn’t see how it lined up with the loving ethos that is supposed to be found in Christianity. I couldn’t see torture, even torture of someone as horrible as Hitler, as something followers of Jesus should do—much less enjoy doing. I actually don’t know or understand how people can “square” that. Oh, why did they have to use the words “everlasting,” “conscious,” and “punishment” together? I even tried to think my way around it by taking some kind of C.S. Lewis the-doors-of-hell-are-locked-on-the-inside stance (but I don’t think you can reasonably call that “eternal”—since it may leave open the opportunity for postmortem repentance) or N.T. Wright’s “dehumanization” view (although I’m not sure we can really call that “conscious”). Anyway, it really looks like the majority of the verses that touch on the subject imply (or more than imply) ultimate destruction, instead of cognizant anguish interminably. 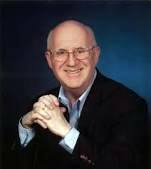 I am currently reading the Rethinking Hell book and hope that I will be able to carefully and graciously explain to the church board why I have doubts about that one segment in the statement of faith, in the hopes that they will accept me to work with them in spite of my reservations on eternal conscious punishment. Again, thank you for the honest and interesting blog post. Steven, thanks for your comments on my blog post. I am glad that you found it helpful. I don’t know if or when IVP will make Who Can Be Saved? available in Kindle format. I am sorry about the tough spot you are in with regard to employment by a church. I pray that the Lord will assist you as you explain your biblical reasons for being unable to affirm the “consciousness” of eternal punishment. I recommend that you explain very clearly, however, that you share their belief in eternal punishment and, if you believe (as I do) in an appropriate period of consciousness prior to the destruction of the wicked, it would be good to make that clear as well. It may also help if you can establish agreement regarding God’s ability to destroy people in body and soul (Mt 10:28), because the traditional view was very heavily motivated by a conviction in the indestructibility of the soul. If they do not hold that view, you may get a better hearing. I hope that they will be open to conversation with you about this and that they will not react in fear and speedy dismissal of the issue. Thanks for the good advice. I will continue to study and pray over the issue while I read more books, articles, and informative blog posts such as your own. Well, I ended up just getting a used copy of the paperback book, “Who Can Be Saved?” There weren’t many books that seemed to deal with the issue that were available for the Kindle. What other books would you recommend on the subject? Is “Through No Fault of Their Own?” any good? Through No Fault of Their Own is a fine collection of essays on this subject, Steven. As a discussion that presents four perspectives, I think that More Than One Way, edited by Okholm and Phillips, is another helpful work for people working their way through the issue. Ah, yes. I had read that book under a different name (“Four Views on Salvation in a Pluralistic World,” with no title before that). I found all the essays in the volume to be well-written, but Pinnock and McGrath were the most persuasive, I think (those two often are). Interesting stuff. I confess I haven’t done much reading of current literature on the topic. McLaren at least raised the problems to do with current accepted evangelical understanding so it is helpful in clearing the debris (“The Last Word and the Word After That”). Sorry I can’t be more help. The Associate pastor of Calvary was initially denied ordination in the AGC because he couldn’t sign off on pre-millennialism and conscious eternal suffering of the wicked. Get writing, Terry! Fear can play a tremendous role in tenaciously clinging to the doctrine of endless conscious torment (ECT). That, and tradition. After engaging this issue on and off for the past seven years, I can say that fear and tradition were the two primary factors that kept me wavering on final punishment. Like the vast majority of evangelicals, I started off assuming ECT to be true. It seemed to be the “obvious” teaching. Ironically this was prior to my actually engaging the various literature on the subject from both sides. After some years reflecting on the matter (and yes, even obsessively, one might say), the “ECT texts” shrunk to five: Matt.18:8; 25:41,46 and Revelation 14:11; 20:10. What was I to do with these verses? I came to the conclusion that the majority of the biblical passages speaking or alluding to the fate of the unrighteous pointed toward final annihilation in both the Hebrew Scriptures and the Greek New Testament. As far as an “eternal fire” is concerned, I understood Jude to be foretelling the destruction of the wicked. This is evidenced by citing the example of Sodom and Gomorrah undergoing a divine “punishment by eternal fire” (v.7). This appears to be all the more clear when we take into consideration the close parallel in Second Peter 2:6: God reduced the cities of Sodom and Gomorrah to ashes and they are held forth as an example of the judgement to come upon the ungodly. If, then, “the eternal fire” of Matthew 18:8 and 25:41 are to be understood in a similar light, annihilation is affirmed rather than denied. Another thing that has helped me in dealing with the three “problem texts” in Matthew’s Gospel is how the fate of the unrighteous is treated elsewhere. The picture of fire as the negative divine judgement awaiting the wicked is indeed prominent in Matthew (more so than anywhere else in the NT apart from Revelation). 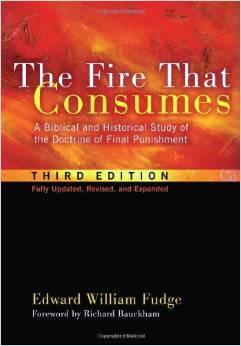 Yet, as Ralph Bowles has noted in a footnote of his Rev.14:11 article, it is actually a consuming fire that is envisioned not one that perpetually torments (3:10-12; 7:19; 13:30,40-42,49,50). In Matthew life and destruction are contrasted (7:13,14). The Twelve are warned to fear God over man, for God alone is sovereign over life and death. Incidentally, Jesus warns that the whole person, psuche and soma, will be destroyed in Gehenna (10:28). As “kill” and “destroy” are used interchangeably in Matt.10:28, prolonged torture cannot be in view. Destruction and loss of life are the lot of those who are not granted entrance into the glorious kingdom (10:39; 16:25,26; cf. Jn.12:25). Conversely, “eternal life” is granted to the righteous alone (19:16,29; 25:46). It is quite sad how prominent evangelicals such as J.I. Packer have poisoned the well by accusing annihilationists with being plagued by “secular sentimentality” and following the trajectory of “cultists”. These are dirty tactics to discourage further study and dialogue on a very important issue. Clark Pinnock was quite justified in calling Packer out for his less than cogent reasoning against evangelicals adopting final annihilation and conditional immortality. The issue ultimately boils down to scriptural fidelity, but traditionalists have often had the unfortunate tendency of impugning motives, politicking, and dismissing annihilationists out of hand for holding similar beliefs to “cultists”. Employing guilt by association and assorted fallacies in order to marginalize an opposing theological viewpoint is not only uncharitable but disingenuous as well. I can only hope to see more evangelicals in the future who are less closed-minded and prejudiced than we have seen in times past. There are many extremely intelligent and learned men who are blinded by prejudice and theological zeal. The best we can hope to do is reach those who are willing to listen. Thanks, Terry – the story of your journey was as helpful as your conclusion. 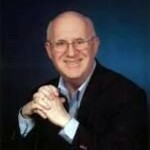 I am sure many of us identify with the various stages and an increasing number with your conclusion. Thru attending a Seventh Day Adventist Prophecy seminar, I’ve come to believe in annihilation (as well as other things) and think conditionalism makes a big difference in the world view of God’s goodness, and feel that conditionalism may close an easy door to reject Christ. To use famous examples, ex-atheist Anthony Flew ended believing in a creator, but he could not accept Jesus because of endless torment. On the other hand, Dr Boyd’s skeptic father ended up fully accepting Christ once Hell was better understood as annihilation. The two issues, creation/evolution and endless torment seem to combine and allow easy rejection of the gospel. In any event, I’ve written primarily to share a little quiz to try to help others deal with “eternal punishment” of Mt 25:46. QUIZ: Although this is an imperfect OVERSIMPLIFICATION, which one of the two answers makes more sense in view of our destinies? B- Basically/fully saved once, but final salvation is permanent/irreversible, for rest of eternity, eternal. COMMENT: So far, with these few examples I think you would agree that, although a bit oversimplified, answer B makes more sense. God will not re- judge us and re-save us each and every minute for the rest of eternity. Eternal does sometimes mean “finally and fully imparted ONCE (like redeemed once) but the “CHANGE” is irreversible, permanent, for the rest of eternity, hence eternal”. Please pause and meditate on that meaning of eternal. Now most want to answer B for #1-3 above but want to answer A for next questions #4-5-6 below even though there is NO difference in the texts or in the word ETERNAL itself? As you answer #4-6 below, ask yourself why, why am I not consistent? B- Or fully/finally punished ONCE, but CHANGE is permanent/irreversible/eternal/for rest of eternity. Were you consistent? Think about it: unless you can answer A to questions 1-3 above, you are inconsistent to answer A to questions #4-6 because these English sentences with word “eternal” are exactly the same. So logically, without convoluted logic, if you answer B to #1-3, then you should at least consider B as a possibility for #4-6. If not, why not? It must come from outside ideas and texts (this is the whole point of those 6 questions to show that it comes from outside & not the word eternal itself). Notice something powerful, #1-6 can all be EXACTLY THE SAME DURATION – THAT’s RIGHT – they can all be imparted ONCE (judged once, redeemed once, destroyed once, punished once) AND they all can be permanent, irreversible, for the rest of eternity; hence they are all ETERNAL in duration. So far we have shown using a simple logical argument that we tend to inconsistently interpret “eternal” in two different ways depending on who is affected (just or unjust). We also show that it comes from external inputs, perceptions, beliefs, and has nothing to do with the word eternal itself or the sentences with it. Isn’t that just amazing! Next, is it possible to confirm that our view of Hell as endless torment is totally imported, while the real meaning should be something “imparted ONCE for the rest of eternity”, per answer B. Let’s see what we can discover with the word most often used with the word eternal: Life. “And these shall go away into a permanent/irreversible eternal destruction ONCE for rest of eternity, but the righteous into a permanent irreversible life given ONCE (for the rest of eternity). In other words, can scripture support that “eternal life” is also basically given ONCE, for the rest of eternity per answer B. Guess what! It does! Eternal life is CONSISTENTLY given once at resurrection/judgment when we (in Christ) will all be MADE ALIVE (finally/fully ONCE but only) at His coming (1Cor 15:22-23), when we receive (once)… in the AGE TO COME, ETERNAL LIFE (Luke 18:30) – (i.e. we receive full eternal life (made alive) at His coming when raised back to life from the dead (our enemy #1)). In short, this shows that the gift of eternal life is also ultimately fully given ONCE at His coming, but it is eternal, permanent, irreversible, for the rest of eternity, so not subject to 2nd death. Hence it is an “eternal” or “permanent” life, just like the final judgment is an “eternal” or “permanent” judgment, just like the final redemption is an “eternal” or “permanent” redemption, just like final destruction is an “eternal” or “permanent” destruction, just like final condemnation is an “eternal” or “permanent” condemnation, just like final punishment is an “eternal” or “permanent” punishment. WOW! Do you see how it is all VERY CONSISTENT. Again, with this understanding of eternal (per answer B), both eternal life and eternal punishment of Matthew 25:46 are the exact same DURATION (i.e. permanent/irreversible), and both are basically given once at judgment of the just and unjust. So, does Matthew 25:46 really support the traditional view of endless torment per answer A? Or does it rather support that the eternal punishment can be an permanent everlasting destruction per answer B. Of course, our view of the eternal punishment in Mt 25:46 is also imported from other verses. this quiz provides further support that the punishment and the life of Mt 25:46 are exactly the SAME DURATION (for the rest of eternity) and are both given ONCE at the resurrection/judgment. But back to our two main issues affecting decisions for Christ.